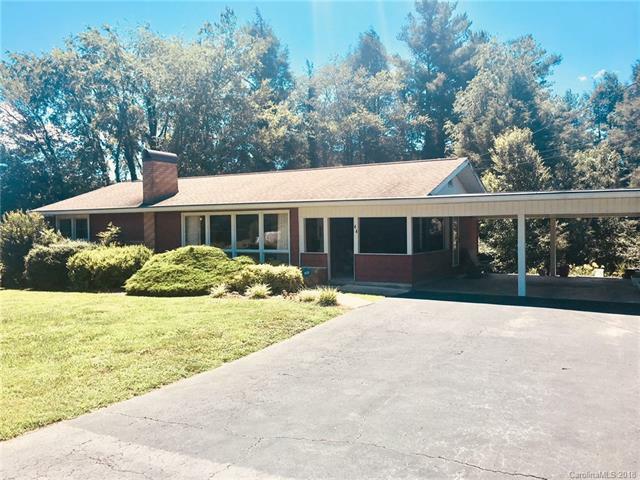 44 Allison Road, Brevard, NC 28712 (#3406665) :: Robert Greene Real Estate, Inc. Location, Location, This great three bedroom and two bathroom house is just a few steps away from the Brevard bike trail and backs up to the BRCC technical college. This home has been well taken care of and has natural hardwoods under the carpet. Sitting on almost an acre in the heart of Brevard there is plenty of room to come home to. If you want a bit of the country feel just around the corner from everything Brevard has to offer this is it!!!!!! Main level has a master, two guest bedrooms, family room, large den and kitchen with plenty of storage. With a full unfinished basement the possibilities are endless. Price just reduced, schedule a showing today! !